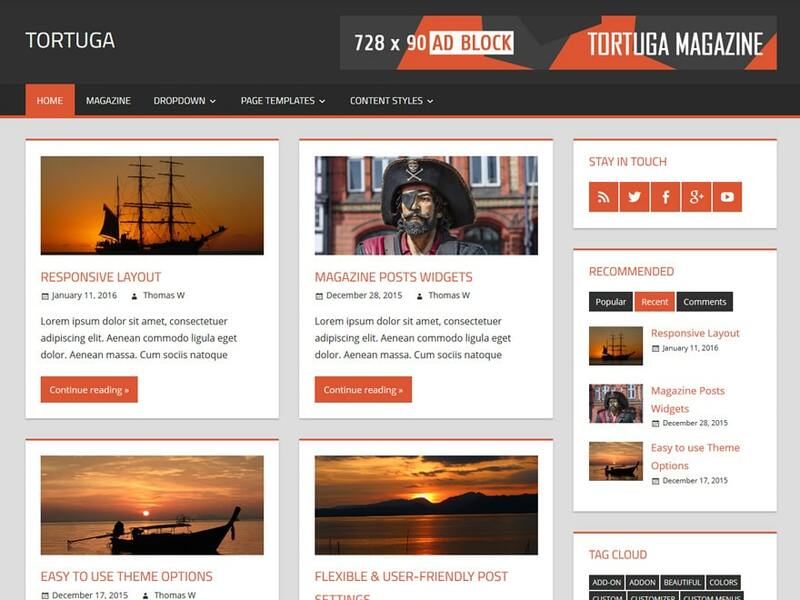 We are very excited to present you our latest Magazine WordPress Theme Tortuga. Tortuga is a highly flexible and adventurous WordPress theme for your online magazine or any other news related website. The theme supports three different post layouts, two sidebar schemes and a Magazine Homepage template based on widgets. Other highlights of Tortuga are the beautiful post slider and header widgets area. We hope you build awesome sites with Tortuga. Arrr!